In this episode, Laird and I discuss his research and deep insight into the Dogon tribe which has a deep and interesting connection to Ancient Egypt, Israel, and the Sirius star system. See more info about Laird in the links below. This entry was posted in podcast and tagged Africa, Aliens, Ancient History, egypt, Sirius, Venus. Bookmark the permalink. This episode was excellent! Probably the best interview with Laird that I’ve ever heard. Great work Joe! 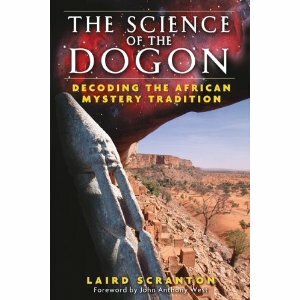 Your questions really elicited very accessible explanations about the Dogon symbol systems and Laird’s work. Thanks Greg, I appreciate the kind words. Took me forever to get this one out. as always, great work again Joe 🙂 thank u for the many wonderful podcasts. Thanks Braeden, Could you tell me about your site? I don’t fully understand. Thanks for listening!! Thanks for the podcast. It was worth the wait. One of your best yet. I thought you contributed a great deal to the interview with your knowledge and complemented Laird very well. You should invite him back again to go into further detail as this is a vast topic. Miss your podcasts! Please don’t stop!